Tokyo Skytree is a new television broadcasting tower of Tokyo in 2010. 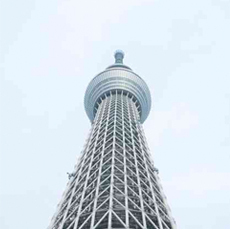 It is the core of the Tokyo Skytree Town in the Sumida City Ward, not far from Asakusa. 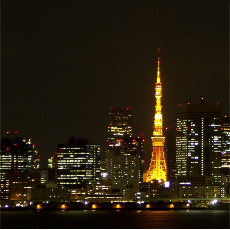 Tokyo Tower is the symbol of Japan's post-war rebirth as a majour economic power. Standing 333meters, it is the tallest self-standing steel structure in the world. 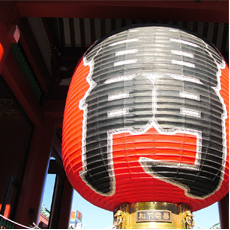 In the center of the “low city” stands the Sensoji, one of the most famous Buddhist temples in the country. 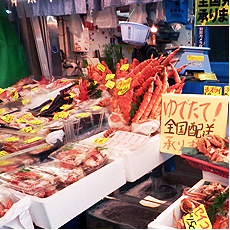 Tsukiji Fishi Market is the largest fish market in the world with over 2,000 tons of marine products per day. 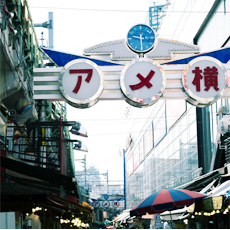 Ame Yoko is a busy market street in the Uneo, also known as candy store alley, this street was once the location of a black market after World War 2. 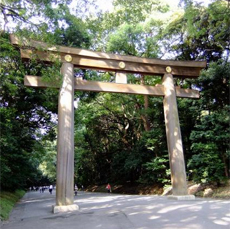 Located just beside JR Harajuku Station, The Meiji Jingu or Meiji Shrine is dedicated to the spirits of the Emperor and Empress of the Meiji era. 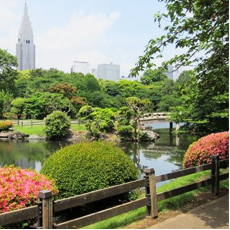 Once the garden of the Imperial Family, Shinjuku Gyoen is the largest and most popular parks in Tokyo. Ryogoku Kokugikan is the heart of sumo wrestling. 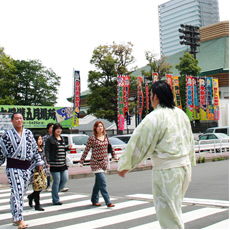 Just going to the station itself can be fun as you can see rikishis (sumo wrestlers) walking around.